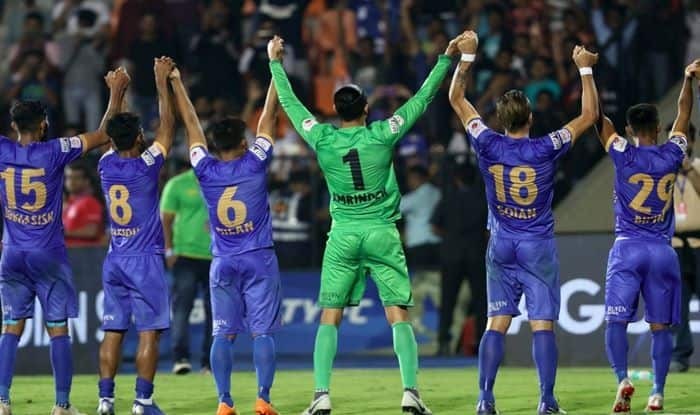 Indian Super League favorites Bengaluru FC's undefeated run came to an end after Mumbai City go past the blues with an efficient 1-0 victory on Sunday at the Mumbai football Arena. Indian Super League favorites Bengaluru FC’s undefeated run came to an end after Mumbai City go past the blues with an efficient 1-0 victory on Sunday at the Mumbai football Arena. The only goal scored was by Paulo Machado at the 29th minute of the match. The victory also meant that Jorge Costa’s men, who have played a game more than Bengaluru but have the same number of points as the Blues (27) and similar goal difference (+9), go atop the table owing to goals scored. Bengaluru, playing a high line at the back, looked like conceding a second on the hour mark when Machado slipped the ball through to pick Modou Sougou’s run.A The Senegalese, with only Gurpreet to beat, saw his shot kept out by the Bengaluru ‘keeper. Needing to chase the game, Cuadrat introduced Chencho Gyeltshen for Xisco twenty minutes into the second half.A The Blues moved the ball around and found themselves in the final third on more than just a few occasions, but seemed bereft of ideas on the finishing front. The Blues head back to Bengaluru, where they face NorthEast United in their first home fixture of the second phase of the League on Wednesday.